Active drivers will be earning $18/hr. 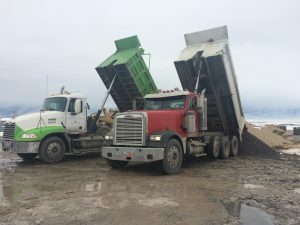 Drivers will safely and effectively haul aggregate materials, asphalt, and/or landscape material through city and residential streets and highways. Driver must be dependable and on time. *Previous dump truck driving experience preferred but not mandatory.